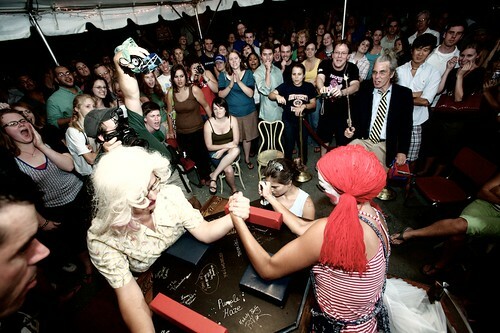 I don't get the whole "not happening" promotion, but the Charlottesville Lady Arm Wrestlers (CLAW) return tomorrow (Friday) night at Blue Moon Diner. Always good times and lots of cheap PBR. Starts at 8pm. $5 entry and bring some money to trade for CLAW Bucks to bribe the judges. It all goes to local charity.